Companies assume that brand building is more of an art than a science. However, prominent companies use a combination of art meet science, to make decisions that appeal to their customers on an emotional and logical level. 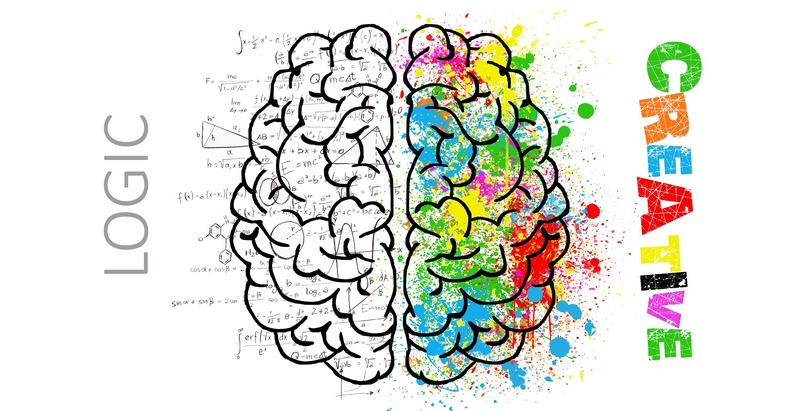 When marketing enters the world of neuroscience marketing, it gives companies and brands an insight into the way the brain responds to certain stimuli. While neuroscience focuses more broadly on the behaviour of the human brain, “neuromarketing” looks at how companies can adapt their brand awareness strategies to influence customers on a psychological level. The biggest challenge for sales people and marketers in today’s world is getting better results while spending less money. How can we solve for this challenge? Neuromarketing. Since the begin of sales and marketing companies are trying to understand human attitude and behaviour to create products, services, logos and campaigns that appeal to the right customer. Sales people and marketers have even used these strategies to identify ideal user personas, using the right demographics and psychographic information. The more you can learn about our customers from a scientific perspective, the more we can adjust our marketing campaigns and advertising strategies to appeal to the right group and minimise budgetary waste. For a basic neuroscience understanding , you just need to know that neuroscience is a field of research that studies the cognitive and affective responses of human brain. Essentially, it focuses on figuring out how the brain responds to a certain stimuli. So, in the case of “neuromarketing”, the main focus is on finding out how the brain responds to certain stimuli in marketing. Big companies like Google and Disney have invested in neuroscience marketing.Neuromarketing uses neuroscience methods to measure consumers’ neurological reactions to products, commercials, brands and so on. Thus, companies assure maximum appeal and immense profits. Although they may offer different services and products, the objective of all businesses is common which is to understand our brain so they can manipulate us into desiring what they offer. Neuromarketing enables them to do exactly that. How exactly does Neuromarketing work? It is not as complicated as it sounds to be honest though it is very scientific. Let’s say you are asked to think of something, the brain impulses travel to the cortex of the brain and make the articulators respond. This process whole happens so fast that the Electroencephalogram, (EEG) can capture every impulse. During the half second from when our brain receives a stimulus, and before it reacts, there’s something entirely neurological happening that is free from the control of the conscious which we call subconscious. It’s the action before our conscious filters the data because of bias or societal responsibility. The EEG promptly reads these electrical waves and relates them to memory, emotions and attention according to the activity in specific areas of the brain. It’s fascinating and may sound complex , but this half-second is the prime time here. It will give an accurate insight of how a person feels when watching a commercial or thinking of a product. Neuromarketers claim though such methods are more cost effective, but it is even more efficient than traditional methods such as focus groups or surveys. A test using neuroscience methods like EEG does not need thousands of people to produce accurate findings. It only requires a sample of just twenty people. The low sample number is because our brains are remarkably similar, although there are differences between gender difference and age difference are some of the variables. Skeptics are fearful about the use of neuromarketing and mass manipulation over consumers. However, it can be determined that these tests can provide companies with valuable information, unlike traditional strategies. With neuromarketing tools they will know how to design products to look, function and feel before they are even ready to hit the market, minimizing risk and maximizing all resources. Can Neuromarketing Make B2B Sales and Marketing Better? Neuroscience tells people to make decision based on emotion. Emotional values provides double the value of what business value does on B2B purchase. Though, on the first look, for B2B marketers, neuromarketing may appear too impractical and too costly but looks can be deceiving and the result is big! Why, Neuroscience works for B2B marketers? Mainly, because Neuroscience tells people to make decision based on emotion. Emotional values provides double the value of what business value does on B2B purchase . In the book Persuasive Advertising: Evidence-based Principles, it is states that behavioral and brain sciences are quite relevant to today’s marketing challenges. Marketers tend to go just on gut feeling and personal experience instead, it is the understanding evidence-based principles which can improve the ability and expertises to develop persuasive marketing and most importantly avoid ruinous results. For example, many sales and marketers are using Internet surveys to improve customer satisfaction. But studies decisively show that surveying customers while they are using a product or service actually harms satisfaction and reduces useful feedback. This is because when consumers expect to report about their satisfaction with a product or service, they adopt a critical attitude. They search for things that are wrong. This leads them to have a less enjoyable experience. For B2B marketers, it’s worth exploring how neuromarketing and a cognitive content strategy apply to B2B—not just to flood Google and Facebook with more messages, but to influence, persuade and sell more minds. This is where most sales and marketing organizations and sales people go wrong. They spend all of their time on using a PowerPoint presentation as the key to communicating their message, with little to no time spent on fine-tuning their delivery. With neuroscience, it is more focused on how to deliver the right information in the right way to our prospects, we can better engage them and move them from inaction to action. With the help of neuroscience, you can also close more incremental sales by developing processes that integrate neuroscience, conversational intelligence, and DISC profiling. This makes it possible to systematically help your salespeople reduce the time it takes to prepare for a meeting and at the same time helps them focus on what is important to the person that they will meet. The closer your selling is aligned with how the brain is wired to create a buying decision, the more successful you will be. The less aligned, the less effective. This gets to the root of success and failure in selling. When you sell with real science, it’s not based on opinions or experience, and sometimes it leads to counter-intuitive approaches, but once you see it, and you start using it, you start seeing results.The best thing about science-based methodology is that it’s totally buyer-focused. Everyone says they are buyer-focused, but with neuroscience, it’s really about what’s going on inside the brain of the buyer. It’s no longer a mysterious thing.You are now armed with the science, and can improve any salesperson’s performance, regardless of natural ability, regardless of where they start. At end of the day, what makes sales people to just “wing” their sales matters. With neuroscience, B2B sales and marketers are now able to prepare on a higher level and spend less time in doing that preparation. The process is simple and straightforward, providing the sales team with key information that directs their preparation with a laser-like focus, saving them time and building their confidence. They go into a sales meeting not only understanding the needs of the customer better, but also how they should present the solutions in order to gain the client’s trust and set the groundwork for future co-creation.It is not the sales your team would have gotten anyways that are at risk, but the incremental sales that you lose. How does Neuromarketing Helps Sales and Marketing? As B2B Sales person your job is no longer just to try to close every visit you make with a prospect. Your job is to nurture this prospect by building a trust based business relationship. To do this particularly for a prospect, you must nurture the account with regular touches. Now, this is important the touches are not sales letters or product demos or special pricing deals your job is educate the customer on things that interest the prospect. Articles on their industry trends, case studies showing how other companies solved issues similar to the prospect’s issues, white papers showing a third party research or testimonial regarding things that are important to the prospect. By the way, when I started selling it only took about four or five visits for the prospect to know who you were and what or how you could help them. Neuromarketing is useful for detecting customer trends. Whilst companies often seek to portray a sense of safety and security but speed and efficiency may be what customers are after. For example, PayPal has discovered that the promise of convenience activated the brain more than security. Neuromarketing combines research in consumer behavior and cognitive neuroscience to understand judgment and decision making. It focuses on attention, memory, rewards and risk aversion. Though,some marketers believe it is mostly hype and questions the scientific and ethical validity of using psychological research in marketing and sales. Others believe that it is hyper effective and are willing to pay a high price tag to gain insights that will give them a competitive advantage. Statistics does shows that with the art of understanding human brain you can uplift productivity by at least 20%. Your salespeople and marketers are now able to prepare on a higher level and spend less time in doing that preparation. The process is simple and straightforward, providing the sales team with key information that directs their preparation with a laser-like focus, saving them time and building their confidence. They go into a sales meeting not only understanding the needs of the customer better, but also how they should present the solutions in order to gain the client’s trust and set the groundwork for future co-creation.Neuroscience has shown that most of our decision-making is automatic, intuitive and instinctive and ‘rapid-response’ part of our brains. After that initial ‘autopilot’ response, we then rationalise those decisions, the brain the reflects the logical section which automatically gives more confidence. This gives more reason to the customer to believe in your company because you are providing informations that goes directly into their subconscious mind. One interesting thing utilized by neuromarketing is that people really don’t want to lose out! People are more worried about what they might lose to what they might gain. For this reason “buy before it’s gone” strategies are highly effective. When the alternative option is posed as a loss, consumers are much more likely to buy. A concept called “framing” is highly important in neuromarketing. This technique is teaches how to present decisions to consumers in a way that makes them more likely to splash the cash. Unlike back then where brain imaging was purely reserved for use the academic and scientific purpose, neuromarketing, has tapped into the incredible potential of fMRI imaging to grant us insights into human behavior and consumer habits. With that, you can compare advertising campaigns before releasing them to the general public. This gives an incredible potential and advantage for enhancing marketing strategies, increasing engagement and action. Simply said, bringing in more cash. The answer to that is certainly a yes. Though, skeptics are fearful about the use of neuromarketing and mass manipulation over consumers. However, it can be determined that these tests can provide companies with valuable information, unlike traditional strategies. With neuromarketing tools they will know how to design products to look, function and feel before they are even ready to hit the market, minimizing risk and maximizing all resources. 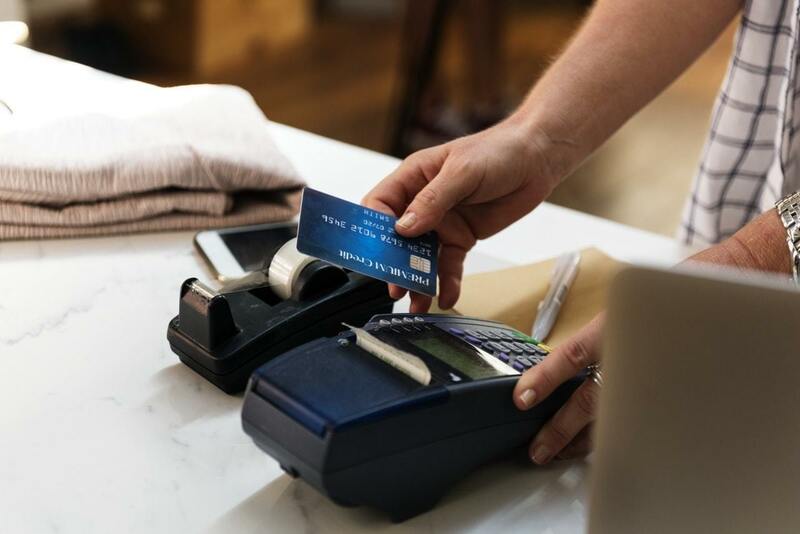 The idea that the brain can reveal hidden and profitable truths about consumers is attractive but can also be misleading, not least because behaviour is the bottom line in business. The most powerful development in marketing is not neuroscience but invisible and ever-present experiments. Every time you go online, marketers can test which ads and prices make you most likely to part with your cash. Because people today tend to shop on the internet more, few realise that others are tested with a different set of images and offers, before the most effective ones are chosen for the biggest return. The benefits are obvious, the tests are easy to run, and the scale is massive. 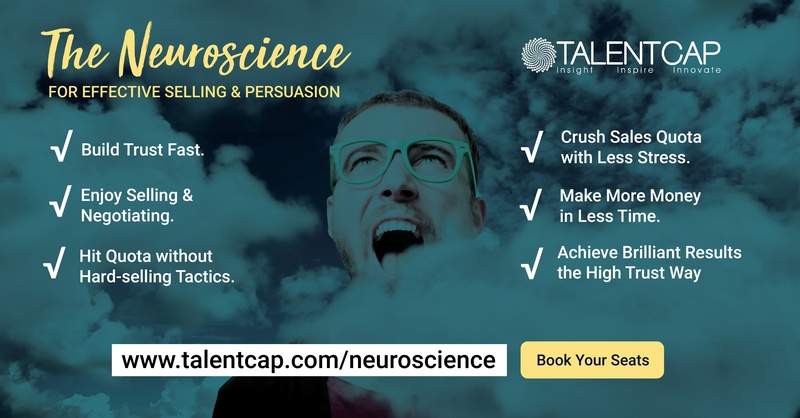 If want to know and learn more about neuromarketing do attend our Neuroscience for Effective Selling & Persuasion Masterclass by Ian Rheeder, a Chartered Marketer and holds an MSc in Persuasion Science. He draws on 30-years of practical sales experience and an obsession with studying neuroscience. Ian has successfully trained thousands of salespeople – every single delegate strongly agreed that CUSP® is a simple yet powerful persuasion system. His previous corporate position was marketing & sales director of the global zipper giant, YKK. This 2 Day masterclass is a highly interactive high-trust selling masterclass is guaranteed to increase conversion ratios, whilst increasing job satisfaction using a triangulation of neuroscience, psychology and selling skills. Upon completing the masterclass, you will be awarded a certificate of completion.